We’ve just had a long and very wet Easter holidays. Of course, now that everyone is back at work, school and nursery, the sun is shining and outdoor pursuits are possible again. However, when it is cold and wet and you are stuck inside it can be really difficult to find productive and entertaining activities that engage children of different ages and interests. 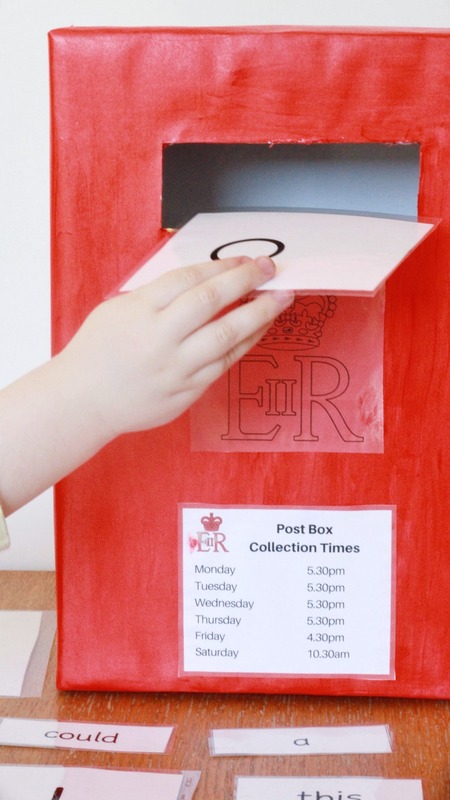 This Post Box Reading Skills Game was a huge hit with both Littlest and Biggest during our break and it has the added benefit of being a fun way to develop their phonics, reading and vocabulary. The other great thing about this game is that it can be adapted to suit any age or ability, playing together, and you can use it to teach other skills and knowledge just as easily. With younger children you can print pictures and ask them to find things, rather than asking them to read or identify themselves. This would also work as a Maths Skills Game, or a Geography Skills Game – or pretty much whatever you can think of! I have my lovely mother-in-law to thank for inspiring me to create and play this game; she mentioned that she helped her twin sons to read (one of whom is my husband!) by getting them to post the words they could read in a post box. They loved the act of posting the words (all children seem to love to post things?!) and they competed with each other to get the most, making the game really effective in developing their reading skills. 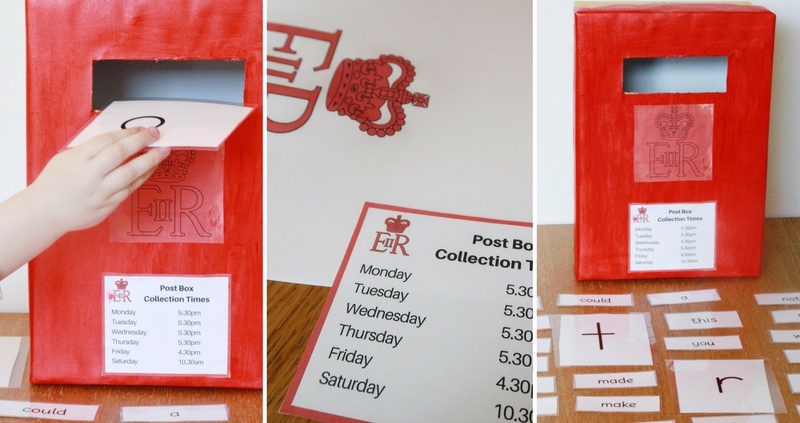 The Post Box Reading Skills Game is also really easy to make. 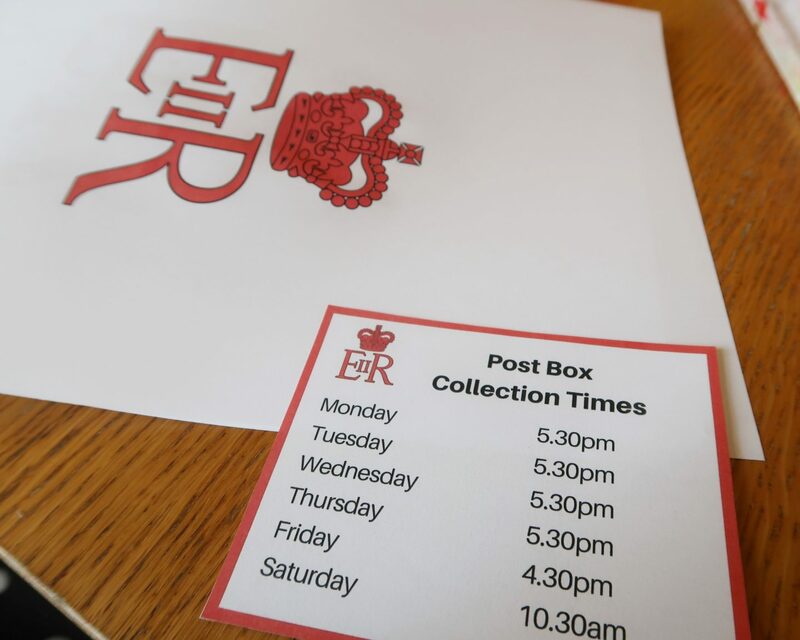 I made our box a little more ‘official’ looking by crafting a Post Box and laminating letters – but all you really need is a pen, paper and a box with a slit cut for posting! Word, letter and phonics lists. You can find a great selection at Twinkl or make your own. Firstly, you may need to cover both parts of the shoe box in white paper in order to ensure that the red paint goes on nicely and creates a vibrant colour. Next, cut a slit in the top quarter of the box lid. 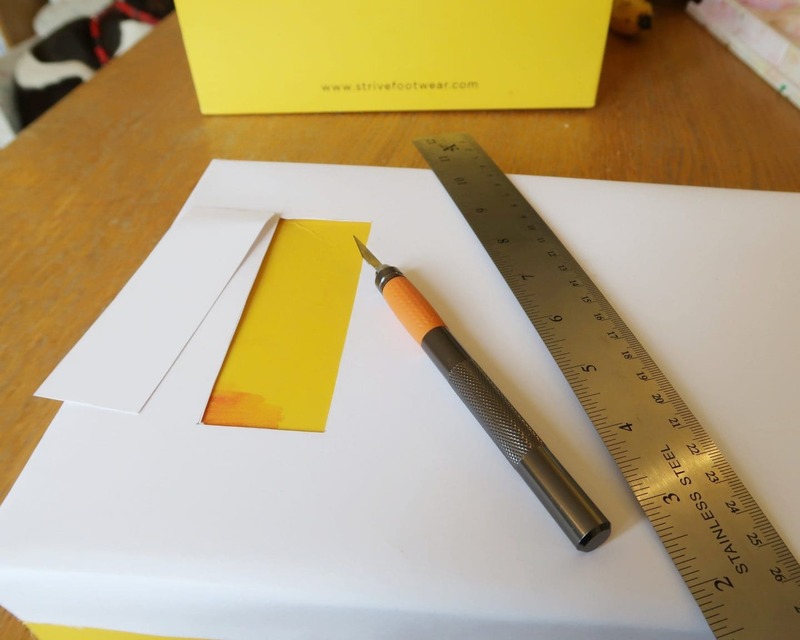 It will need to be big enough to post your word and letter cards – about 5cm by 15cm was the right size for our box. Draw your slit in pencil first and then cut out using a craft knife or by piercing and using scissors. Take care to cut through the paper and card layers. Next, paint your post box. We are in the UK and so we painted our box the iconic red colour. 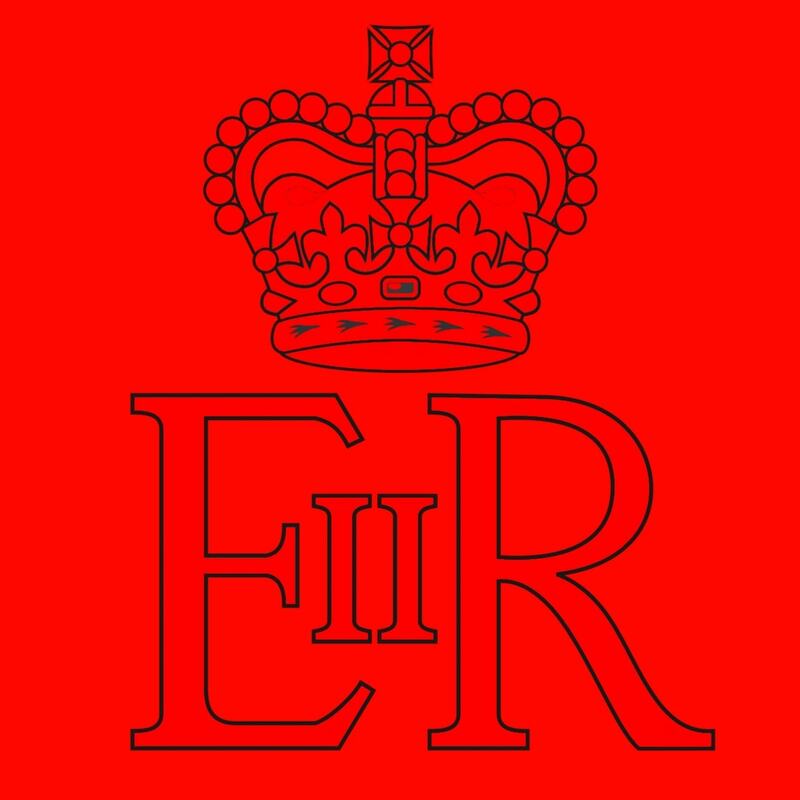 We also included a timetable and the Royal cypher. You can find both these files in the materials list above. 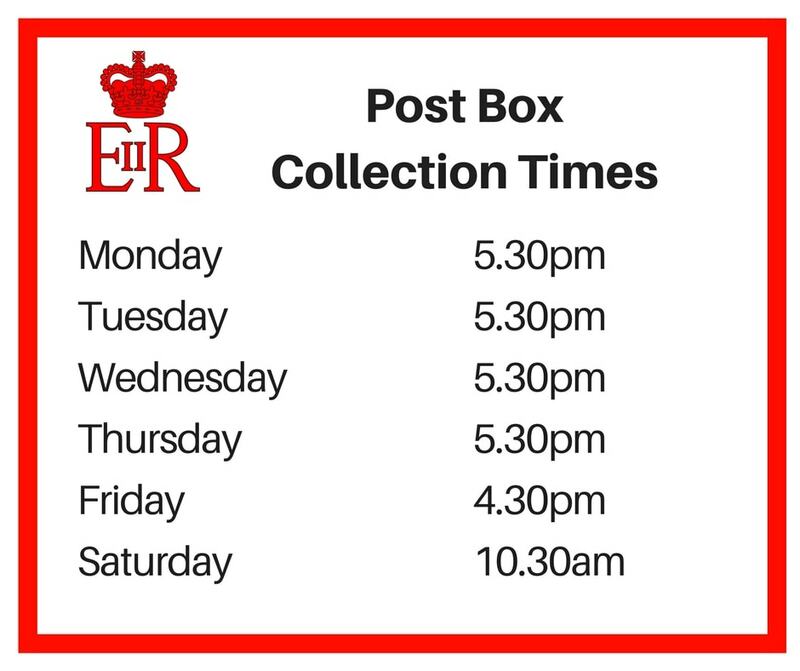 Simply print them out and stick them onto your post box. I modified a picture on Wikimedia Commons to make ours red like the post box and you can download it from the link above. Your post box should then be ready to receive mail. All you really need to make the letters and words to post are scraps of paper and a pen. 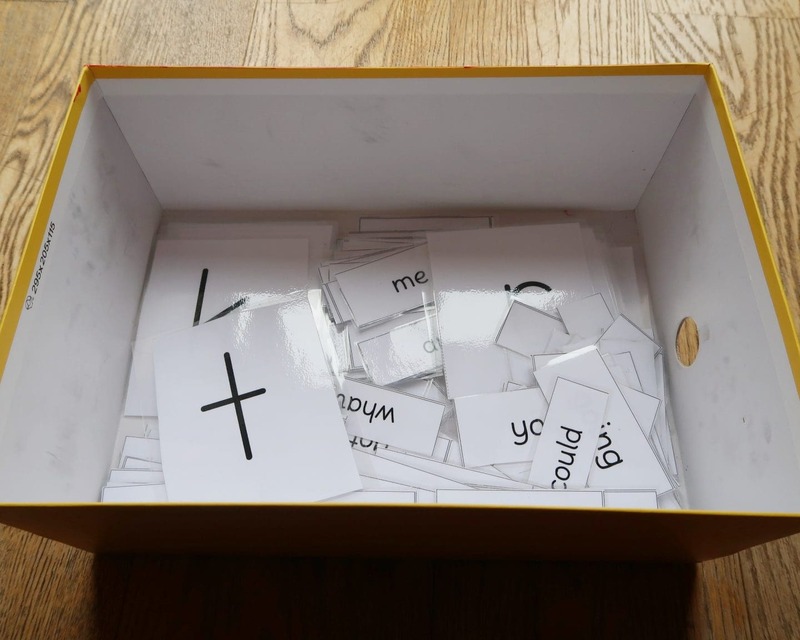 However, if you want to make a more permanent game you can use printed words and a laminator. Simply print out or write the words on pieces of paper and card that are small enough to be posted. Next, laminate the cards and cut them out to create a set of cards and words to post. This has the potential to make the game hugely adaptable and diverse; you can have different sets of cards for different topics. You could print picture cards, numbers, sums, planets, days of the week, months… the list is endless. 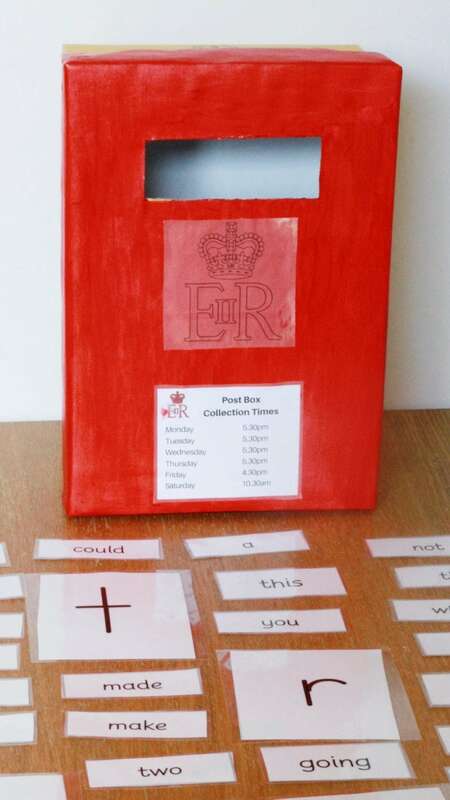 The Post Box Reading Skills Game could be used to teach all manner of other skills and topics. You can also use it to teach any level of ability. When we played, I used letters of the alphabet for Littlest to identify and words that Biggest is learning to read at school for him to find. This meant they could both play together while being challenged to learn new things. Once you are ready to play, set the box in an area with a fair amount of floor space. Place the cards with words and letters and around it, face up, so that the chidren playing can read or identify them. Each child takes a turn to find a card that they know. If they identify or read it correctly, they get to post it – simple as that! 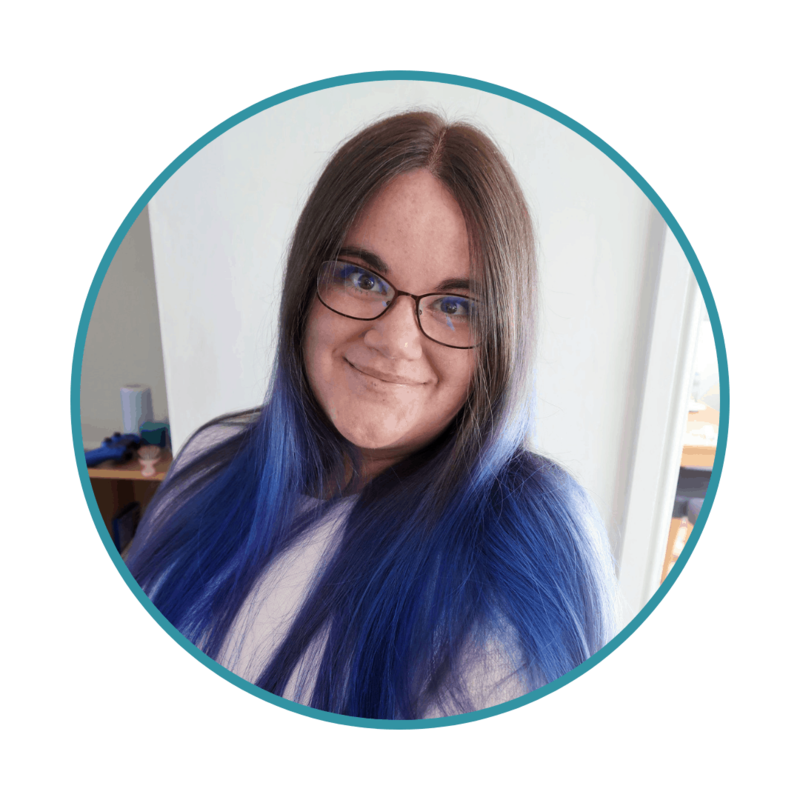 There are ways that you can vary the game or make it more complex. For example you could use coloured envelopes for each child. They then get to put their cards in envelopes before posting. This means you can make a fun game out of counting how many of each colour are inside the box at the end (Maths skills too). The players then have to find the right word/words to place in the envelope before posting it. Both my children loved this game. They are still asking to play it regularly despite the weather improving. The game is appealing for a wide age range – I would say children aged 2-10. With younger children, you could start with using pictures to show the phonics sounds. And there you have it – happy reading! Please note, this post contains affliliate links. If you click through and buy something we may earn a small comission at no cost to you.